When you display your swords, you want the display to be about the weapons, not about the thing holding it. 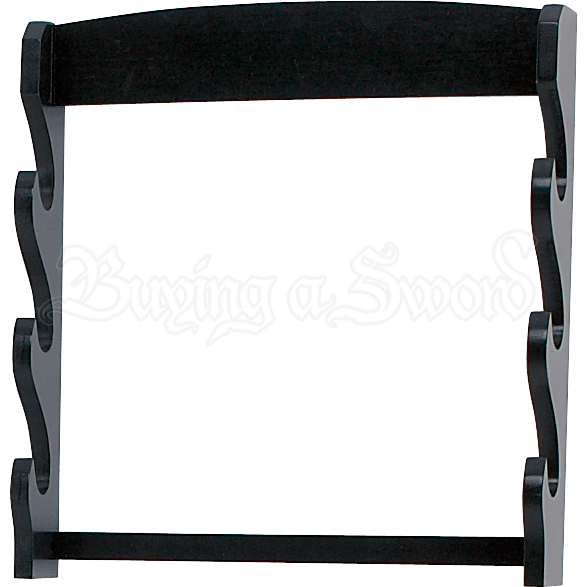 This Triple Sword Wall Mounted Rack traditional little display rack, possessed of a sturdy design to ensure that it holds three swords with ease. 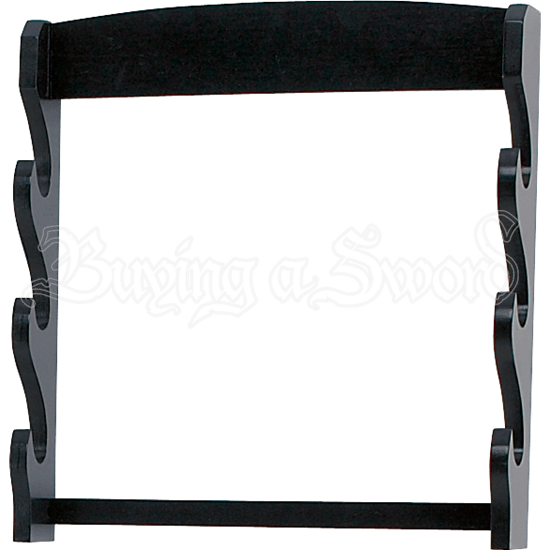 This wall-mounted display rack was designed with function in mind, as it possesses a triple tier form that allows it to easily hold a trio of average-length swords (please note that it will not hold smaller weapons like short swords or daggers). The wall rack is made entirely form hardwood and features a handsome yet subdued black lacquered finish. It is made with a pair of supports that keep the racks equally distant. If you have got a trio of swords that you want to elevate, than there is no better way to do so than with this Triple Sword Wall Mounted Rack. A good no-frills way to put up your swords. Everything arrived promptly. Assembly was easy. And there are other sizes of racks in this same style available for matching.